Allow this custom shark bottle opener key ring – silver to drive away your niche competitors! 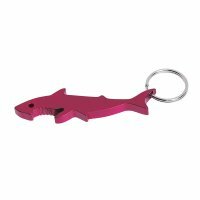 Yes, you can always tower over your niche competitors by gifting away this shark bottle opener key ring to your targeted customers. They would be happier to grab it and are likely to use it as – a memoir of great business relationship that they share with you, mobile billboard, key ring, bottle opener and as a fashion accessory, too. This key ring makes a great individual gifting choice, too. 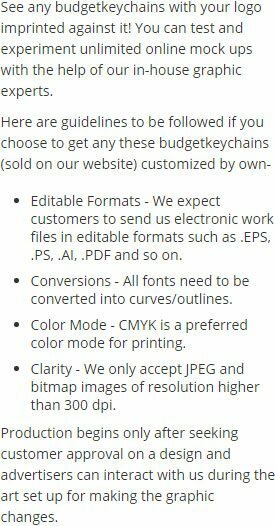 You can get it imprinted with business information or some personal message and choose to gift it during any regular or special occasions. Lucrative price savings are offered on bulk orders. Request a quote to know more about special price savings for bulk orders. * Rush Service at Standard Pricing. 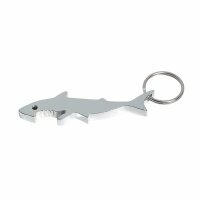 Features – Shark shaped silver body frame and strong metal split ring attachment.